On November 23, 1979, Thomas McMahon, a member of the Irish Republican Army (IRA), is sentenced to life imprisonment for preparing and planting the bomb that killed Lord Louis Mountbatten and three others. 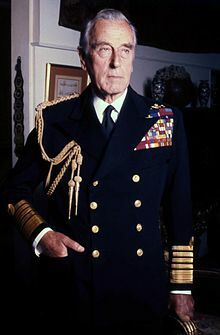 On August 27, 1979, Lord Mountbatten was killed when McMahon and other IRA terrorists detonated a 50-pound bomb hidden on his fishing vessel Shadow V.
Mountbatten, a World War II hero, elder statesman, and second cousin of Queen Elizabeth II, was spending the day with his family in Donegal Bay off Ireland's northwest coast when the bomb exploded. Three others were killed in the attack, including Mountbatten's 14-year-old grandson, Nicholas. Later that day, an IRA bombing attack on land killed 18 British paratroopers in County Down, Northern Ireland. 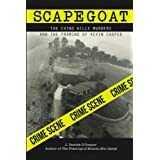 The assassination of Mountbatten was the first blow struck against the British royal family by the IRA during its long terrorist campaign to drive the British out of Northern Ireland and unite it with the Republic of Ireland to the south. The attack hardened the hearts of many Britons against the IRA and convinced Margaret Thatcher's government to take a hard-line stance against the terrorist organization. The IRA immediately claimed responsibility for the Mountbatten attack, saying it detonated the bomb by remote control from the coast. It also took responsibility for the same-day bombing attack against British troops in County Down, which claimed 18 lives. IRA member Thomas McMahon was later arrested and convicted for his role in the Mountbatten bombing. He was a leader of the IRA's notorious South Armagh Brigade, which killed more than 100 British soldiers. 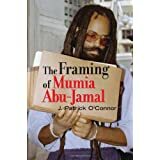 He was one of the first IRA members to be sent to Libya to study detonators and timing devices and was an expert in explosives. Authorities believe the Mountbatten assassination was the work of many people, but McMahon was the only individual convicted. Sentenced to life in prison, he was released in 1998, along with other IRA and Unionist terrorists, under a controversial provision of the Good Friday Agreement, Northern Ireland's peace deal. McMahon claimed he had turned his back on the IRA and was becoming a carpenter.